Recently, “Save the Rain” offered community members the chance to show off their creative side. Local residents participated in a rain barrel workshop at the Wescott Community Center to learn about the benefits of green infrastructure and how rain barrels can play a part in keeping Onondaga Lake clean. The program was one of several workshops sponsored by “Save the Rain” with staff from Onondaga Environmental Institute (OEI) and Onondaga Earth Corps educating residents on the importance of taking steps to protect local waterways by preventing storm water from entering the sewer system. Workshop participants toured the center and had the chance to see real-life green infrastructure by viewing the community centers rain garden and rain barrel systems in action. 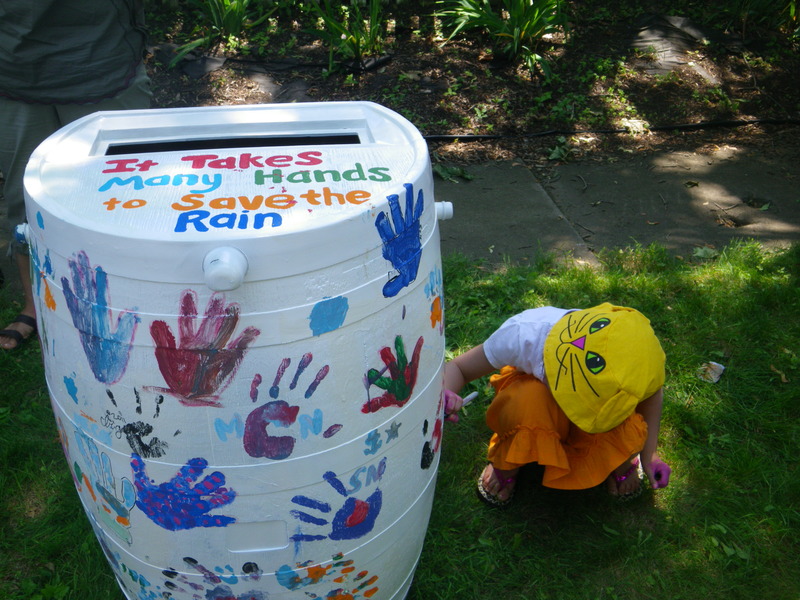 While the main focus of the workshop was to train residents on how to properly install, use and maintain rain barrels for their homes, the real fun came as local artists volunteered to paint and display several rain barrels as part of the 2011 Wescott Art Trail. Workshop participants also tried their hand at creating a piece of art as local artist Abisay Puentes assisted residents with designs for their personal rain barrels. In addition to the community taking steps to clean Onondaga Lake, the weekend showcase resulted in the design of close to 90 one-of-a-kind barrels and plenty of smiles and laughs.